Born in Belfast in 1916, Gerard Dillon was the youngest of eight children. 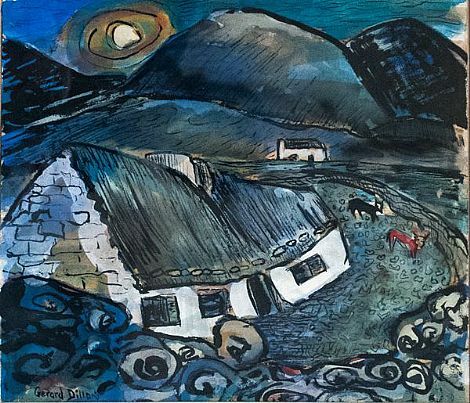 He left school at the age of fourteen and became a house painter, after seven years he attended Belfast College of Art, but only for three months. Dillon then went to London from 1934-39 where he worked in odd jobs to make a living. The war years found him in Ireland again and he held his first show in Dublin in 1942. 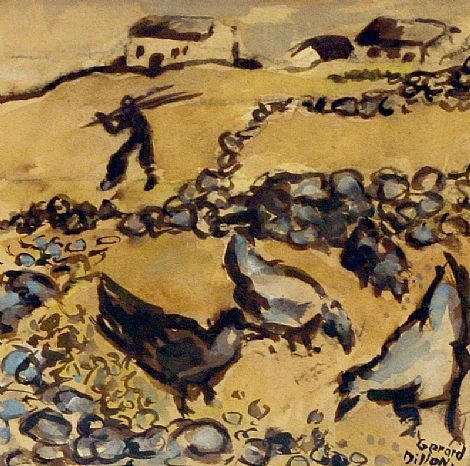 Much of his painting time was spent in Connemara with George Campbell, resulting in lively contributions to the magazine Ireland of the Welcomes. 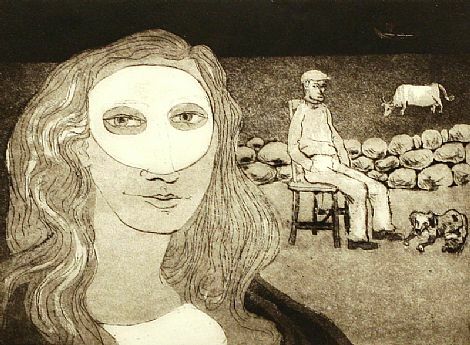 Dillon first exhibited in the Irish Exhibition of Living Art, Dublin in 1943, becoming a regular exhibitor and a valued committee member, although from 1945 until1968 he lived most of the time in London. Dillon had one man shows in Belfast in 1946 and 1950 and later a number of one-man shows in Dublin between 1957 and 1971. 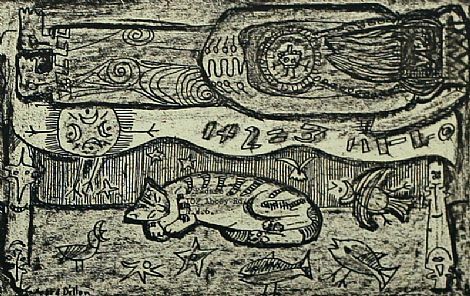 His work appeared in several exhibitions of international importance. 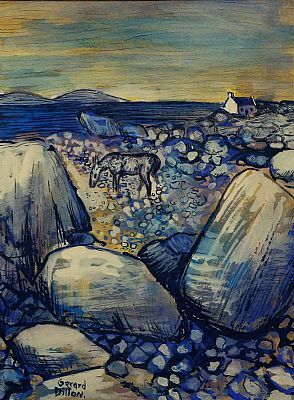 The links with Belfast and Dublin remain strong and in 1966 came a one-man show at the Arts Council of Northern Ireland Gallery. His painting Black Lake was reproduced on a postage stamp issued from Dublin, where he had a spell of lecturing two years before his death.